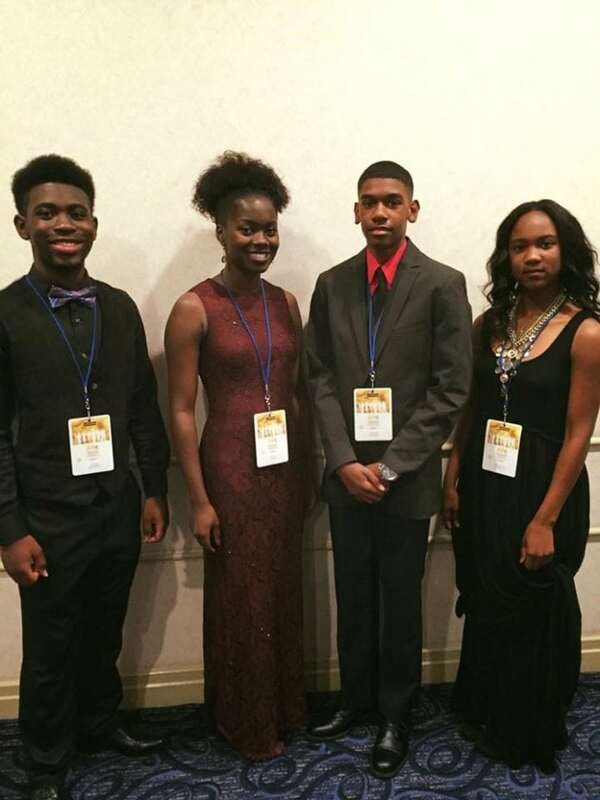 DESOTO—Three DeSoto High School students – Marcus Daniels, Da’Myia Hammond-King and Keith Walker and one recent graduate Alexis Berry, – competed in the NAACP National ACT-SO (Afro-Academic, Cultural, Technological and Scientific Olympics) Competition in Cincinnati, Ohio July 14-18. This year ACT-SO had over 650 students compete in 30 categories including STEM, humanities, business, culinary arts/hospitality and performing/visual arts. ACT-SO is a yearlong achievement program designed to recruit, stimulate and encourage high academic and cultural achievement among African-American high school students. Over 300,000 young people have participated in the program since its inception. These students were judged by qualified experts, including celebrities and other distinguished individuals in their respective fields. Additionally, students were able to attend several master classes about their fields, facilitated by these judges. The NAACP national ACT-SO program has helped young people in communities across the country, opened new doors to learning and defined career paths since its inception 36 years ago.